From the writer of the award-winning Tales of a City by the Sea, THEM brings audiences into the homes of people before they become refugees, as they face the decision whether or not to flee. THEM is a new play by Samah Sabawi, writer of the award-winning Tales of a City by the Sea. Caught in a city at war, Omar, Leila, and their young child count down the days before a boat sails to a safer place. The journey will come at a cost. Is it a cost they are prepared to pay? This May, THEM will have its world premiere at La Mama Courthouse in Melbourne directed by Bagryana Popov. The production builds on three years of creative development, including consultation on the script with people living in conflict zones and others who have been displaced by war, script development with Melbourne Theatre Company as part of their Cybec Electric program, and two weeks exploring the theatrical language of the play with our team. In this time we’ve pulled together an amazing team from diverse cultural and artistic backgrounds, and raised more than half our budget in grants. This production grows from a need to respond to the global refugee crisis, and to the divisive “us” and “them” rhetoric that dominates the national discourse. In the aftermath of the horrific Christchurch massacre, this need seems ever more urgent. This play, THEM, offers a way to counter this toxic environment. Art has a way of connecting people at a fundamental human level. THEM tells the story of people trying to create fulfilling lives under difficult circumstances, while remaining true to their values and committed to their families and communities. It explores a range of perspectives on the question of whether to flee war and become a refugee, without engaging in politics. There is a hunger for stories like these. Sabawi’s play Tales of a City by the Sea, a love story set in Gaza, saw two sell-out seasons at La Mama Courthouse in 2014 and 2016, was selected for the 2016 VCE Drama Playlist, won two awards from Drama Victoria, was nominated for Best Independent Production at the Green Room Awards, and toured to Sydney, Adelaide, and Kuala Lumpur. THEM will support audiences to gain a richer understanding of the complex decisions made by people they hear about in the media, whom they may meet in their own schools and communities. It will affirm to those in the audience, cast, and production team who have experienced marginalization that their stories, perspectives, and talents have value within the broader community. The grants we have received enable us to pay some of the physical costs of production, and pay award rates to the performers. The money we raise here will allow us to pay a living wage to the remainder of the crew, making this a truly equitable production. 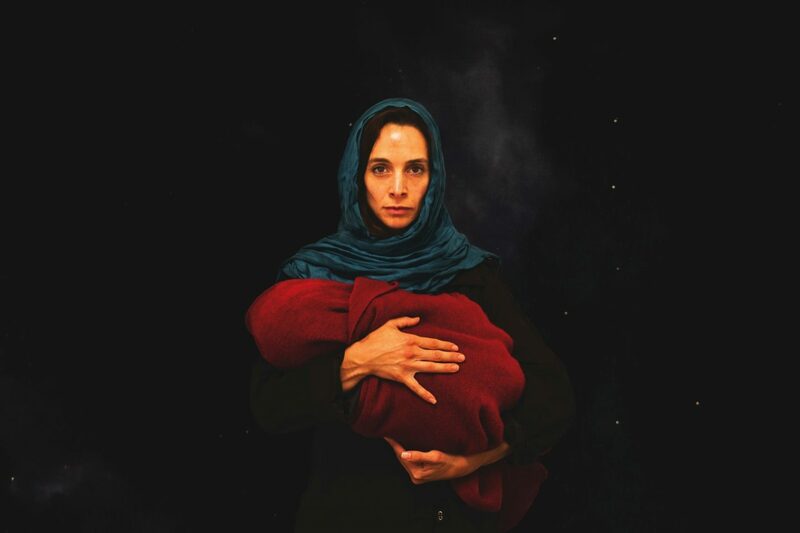 The production brings together an extraordinary team of artists with roots in Palestine, Lebanon, Syria, Egypt, Bulgaria, Afghanistan, Malta and Chile, from diverse faith backgrounds including Muslim, Jewish and Christian. Supporting this production means helping to bring the cultural diversity of our community to the Australian stage at all levels of storytelling. Samah Sabawi is an Australian Canadian poet, playwright and essayist, originally from Palestine, now residing in Australia. She has travelled the world and lived in its far corners, yet always felt trapped in her place of birth, Gaza. The war torn besieged and isolated strip shapes her understanding of her identity and her humanity. Sabawi has written and produced the plays ‘Cries From the Land’ (2003) and ‘Three Wishes’ (2008) both staged successfully in Canada. 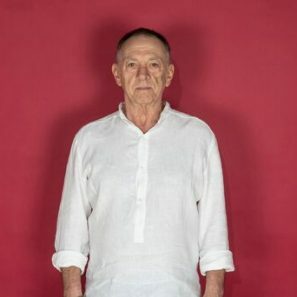 Her third play ‘Tales of a City by the Sea’ enjoyed a sold-out world premiere run last year at Melbourne’s La Mama Theatre, and will be staged in three Australian cities in 2016. The play was selected for the Victorian Certificate of Education drama and theatre studies’ 2016 playlist and will be published by Currency Press. 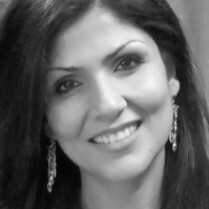 Samah Sabawi is co-editor of ‘Double Exposure: Plays of the Jewish and Palestinian Diasporas’ for the Playwrights Canada Press. She is also co-author of ‘I Remember My Name’, an anthology of poems by three poets from Gaza, ‘Palestine’ (Samah Sabawi, Ramzy Baroud and Jehan Bseisou) edited by Vacy Vlazna and published by Novum Publishing. Sabawi has received an Australian Postgraduate Award to undertake a PhD by Creative Project at Victoria University commencing 2016.